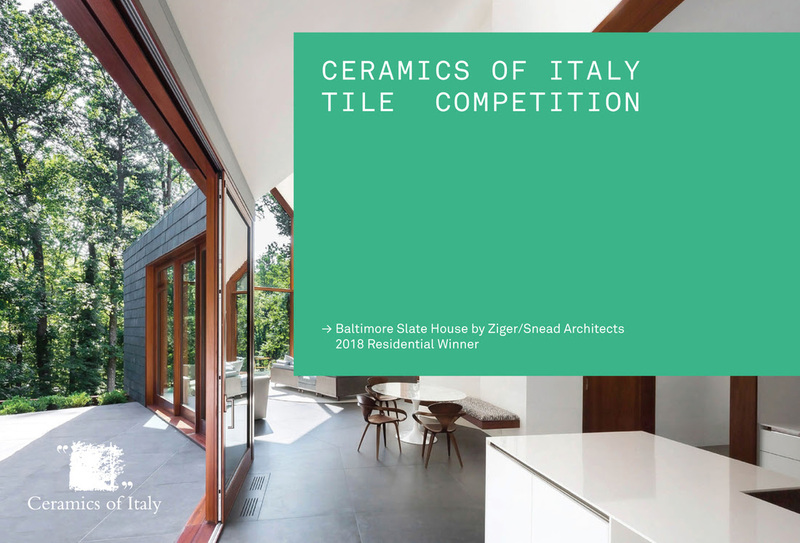 Winners of the 2019 Tile Competition will be notified in March and officially announced at the Ceramics of Italy International Press Conference at Coverings – North America’s premier tile and stone trade show taking place in Orlando, FL from April 9-12, 2019. Built projects displaying the highest level of functionality, creativity, sustainability and aesthetic appeal are awarded a prize package that includes $3,000 cash, an all-expenses paid trip to Orlando, FL for Coverings to present their project, plus a 5-day CEU-accredited trip to Bologna, Italy to attend Cersaie – the world’s largest exhibition of ceramic tile and bathroom furnishings – with a delegation of top design media. An additional $1,000 will be awarded to the contractor/distributor team involved in each winning project. The winning student entry will receive an all-expenses paid trip to Orlando to present their project in front of a large audience of media, manufacturers and tile industry professionals at Coverings 2019. Deadline for entries: February 1, 2019.